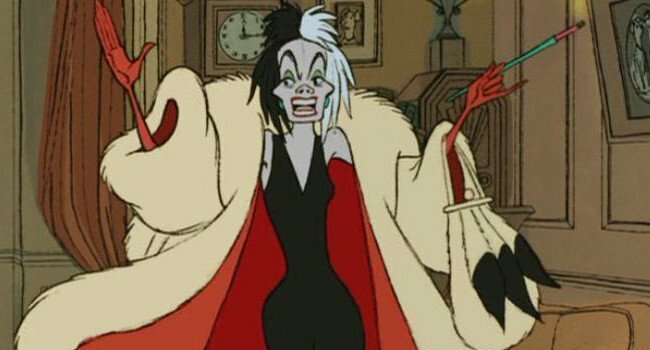 Cruella de Vil, Cruella de Vil. If she doesn’t scare you, no evil thing will. Well that’s an understatement considering Cruella’s favorite past times include hanging out with crooks and making coats out of puppies!